The current market for primary home sales is extremely positive. Every other week there will be a new project launch and buyers will flock to the latest show flats to try to grab a unit in anticipation that prices will go up higher. In my opinion, the market is a little too positive and buyers are buying primarily because they have a fear of missing out. In the past, more buyers would rationalise and calculate how much they can potentially rent the property for and calculate potential yield. In light of this, I hope that I can offer my two cents worth about some of the upcoming projects that are on the market. For my first review article, I would like to speak about two projects which are launching concurrently and are in very close proximity to each other. The projects in question are Affinity at Serangoon and The Garden Residences. 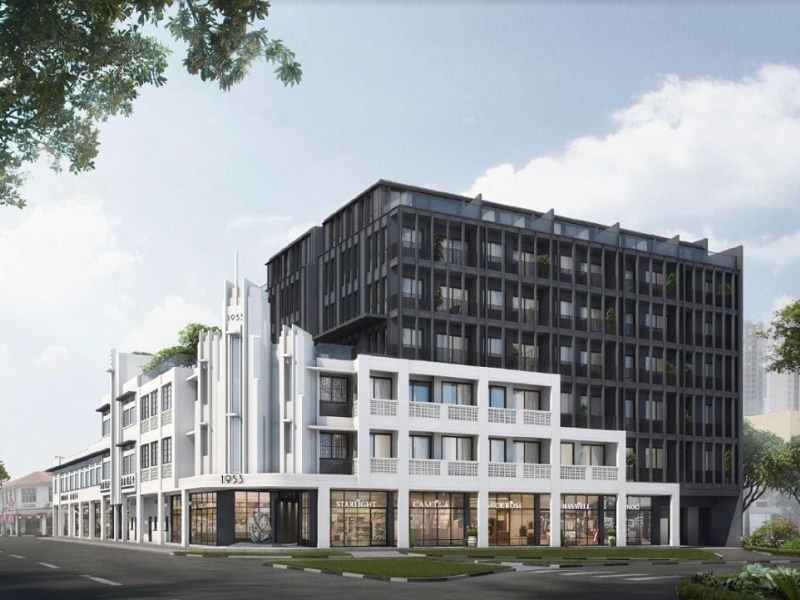 Affinity at Serangoon is a 99-year leasehold project located along Serangoon North Avenue 1. It is located on the site of Serangoon Ville, a former HUDC estate which underwent privatisation. Subsequently, Serangoon Ville was purchased en bloc by Oxley-Serangoon. 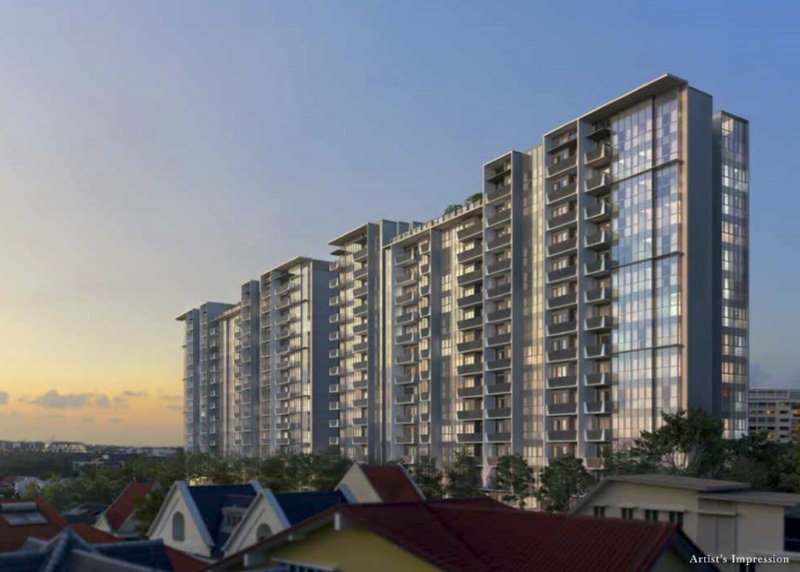 Oxley Serangoon is a joint venture which includes major partners like Oxley Holdings, Lian Beng Group, Apricot Capital and entities of KSH Holdings and Heeton Holdings. Oxley Serangoon bought Serangoon Ville for $499 million. Each owner was paid $2 million for their unit. The consortium also paid an additional $195 million to top up the lease to 99 years. The total site area is 296,913 square feet. 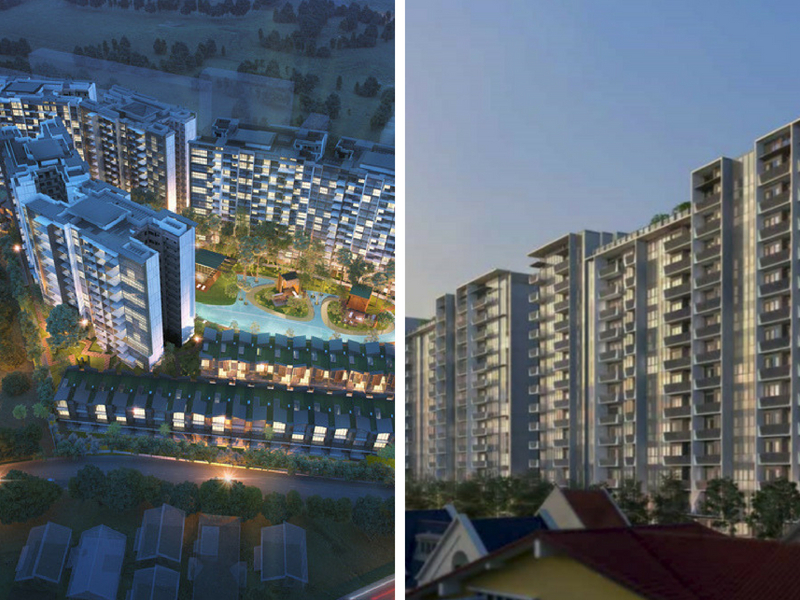 Affinity at Serangoon will have 1012 units, 40 strata landed houses and 5 commercial units. 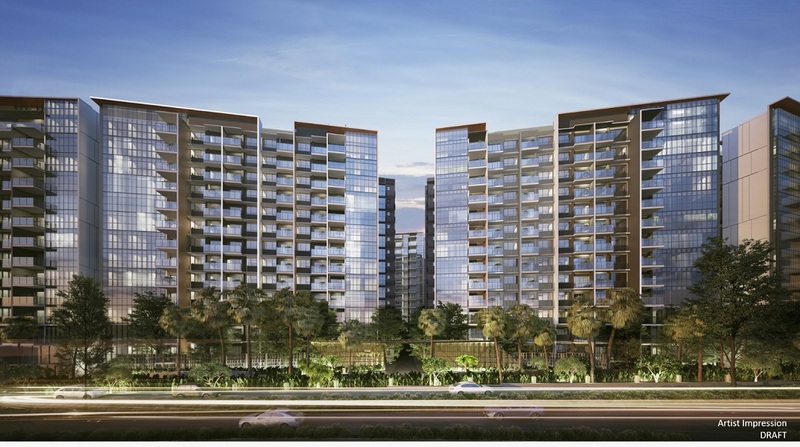 The Garden Residences is a 99-year leasehold project located along Serangoon North Avenue 1. If buyers are familiar with this area, this used to be the former Serangoon Gardens Secondary School. This site was acquired through a government land sale exercise by Keppel Land and Wing Tai Holdings. The joint venture, Gardens Development, paid $446.28 million for the land. The total site area is approximately 185,023 square feet. The Garden Residences will have 613 units. Both of these developments are located along Serangoon North Avenue 1. You come in through Yio Chu Kang Road. If you are driving from Serangoon Central or NEX Shopping Mall, it would take you about 10 minutes to get here. NEX is approximately 1.9 to 2 kilometres away from both Affinity at Serangoon and The Garden Residences. It is by no means near to Serangoon Central or NEX Shopping Mall. 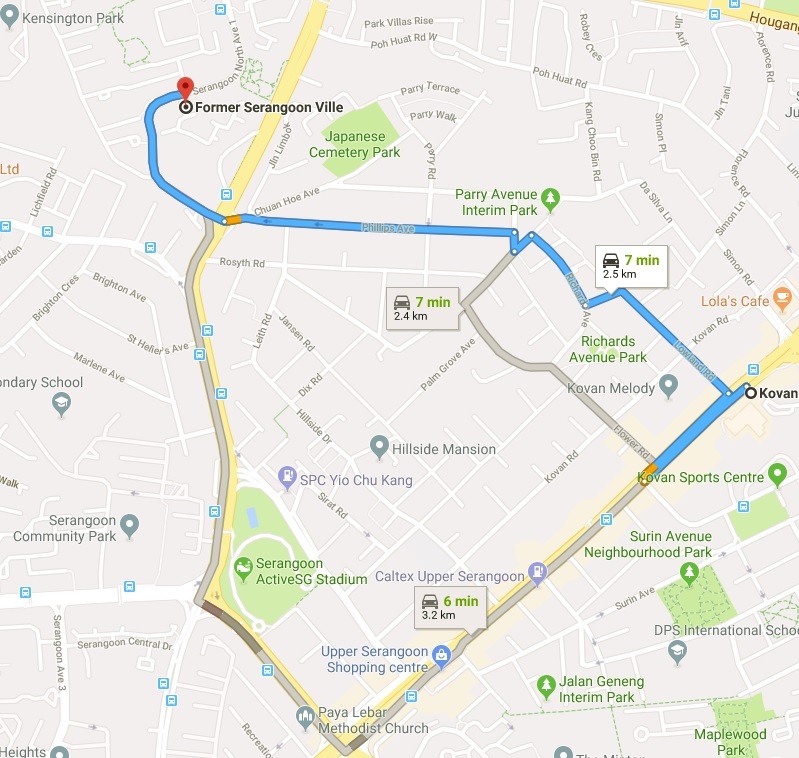 In fact, if you were to use Google Maps and try to navigate driving from Affinity at Serangoon and The Garden Residences to both Serangoon MRT Station and Kovan MRT Station, Kovan MRT Station would seem slightly shorter. In a nutshell, both Affinity at Serangoon and The Gardens Residences are not close to any MRT Station. There is a feeder bus that will take you from Serangoon Central to Serangoon North. The bus runs along the road outside of Affinity at Serangoon. There are no feeder buses that run along the road outside of The Gardens Residences. Both developments are located within 1 kilometre of good primary schools like Rosyth. This may prove to be a draw for certain buyers with young children. I would say that the selling points about both developments are that they are developed by developers with an extensive track record. Oxley and Lian Beng are experienced enough to handle a 1012 unit development and Keppel Land and Wing Tai are extremely seasoned developers who have been in the local property scene for decades. If I had to pick which of the two developments had the better developer, I would perhaps pick The Garden Residences. Keppel Land’s portfolio is impressive especially past developments like Reflections at Keppel Bay and Corals at Keppel Bay. I feel that Keppel Land does pay special attention to the overall landscape and theme to their developments as compared to other developers. That being said, this is not a high-end development but more a mass market one so perhaps this factor may not have any significant differentiation. The outlook of The Garden Residences does remind me a little of Kovan Residences though which does feel like Keppel Land played it a little conservative. 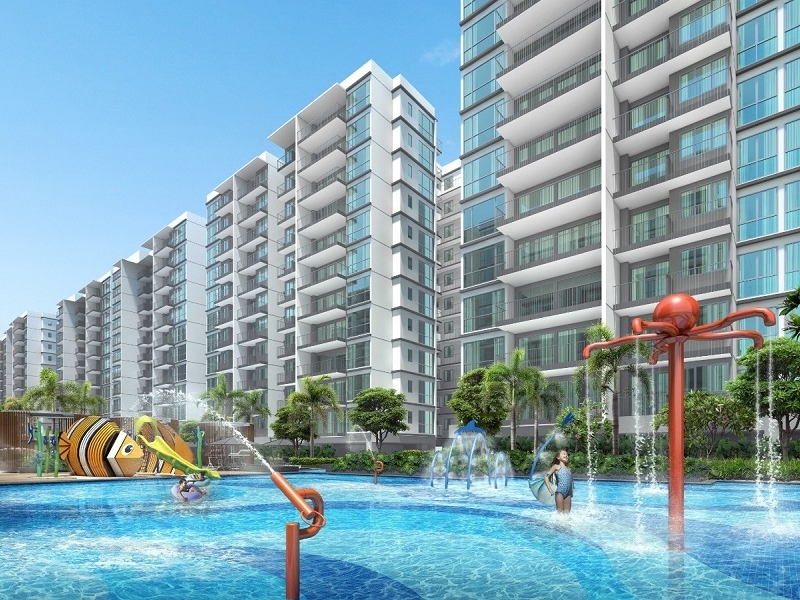 Affinity at Serangoon has strata landed units within the development. This may be a draw for buyers who require a larger space. They can live in a strata landed while enjoying the all the facilities in Affinity at Serangoon. My honest thoughts are that if you intend to purchase Affinity at Serangoon or The Gardens Residences with the intention to rent it out in future, you may be making a mistake. Current rental demand in Serangoon North is not strong at all. 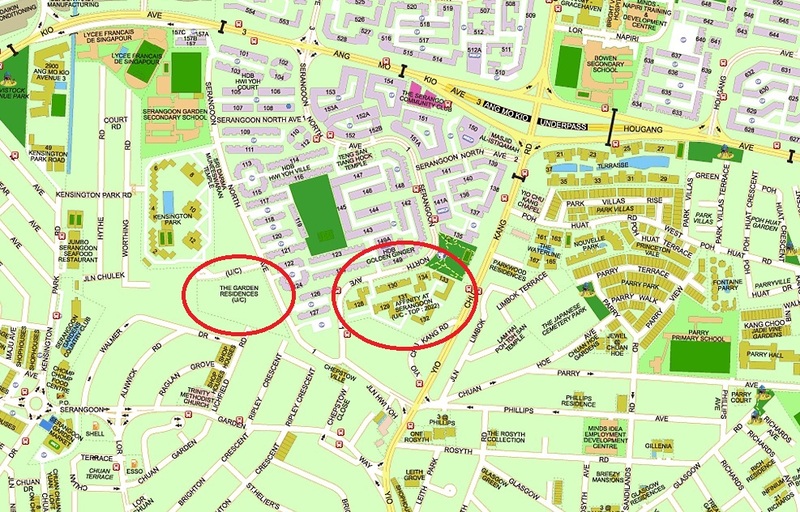 Moreover, there are no significant development plans close to Serangoon North. There are no significant tenant catchment areas whereby you will get a steady stream of tenants to rent your units when they are completed. There is also no MRT station nearby and transportation is an issue. Between Affinity at Serangoon and The Garden Residences, there will be more than 1,600 residential units added to the Serangoon North Area. In contrast, there are 21,487 HDB flats in the whole of Serangoon (as of 31st March 2017). This figure includes the whole of Serangoon. Serangoon North is perhaps approximately half of that figure. 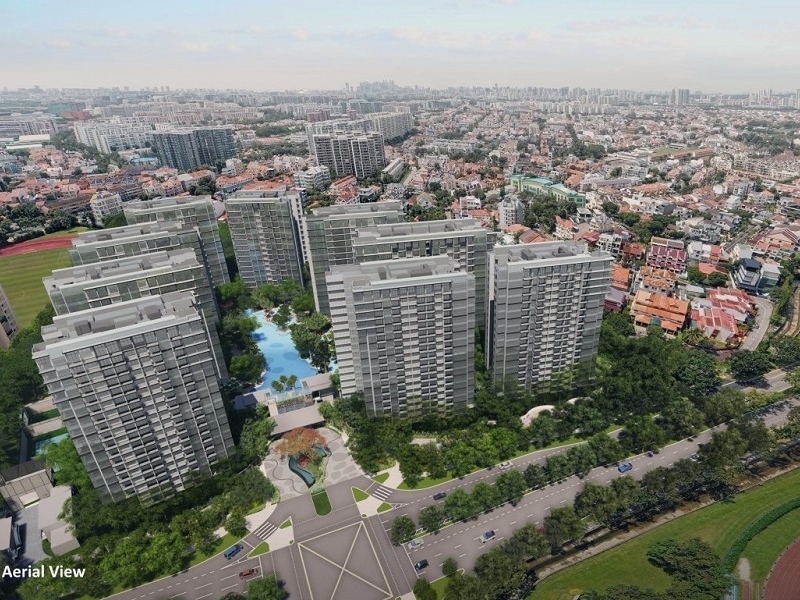 The number of units that are coming on board to Serangoon North through these two new projects may add an additional 10% to the available housing stock in the area. Also, looking at the URA Master Plan would reveal that there is a residential site next to The Gardens Residences. There is also another existing development next to The Gardens Residences, Kensington Park Condominium. Kensington Park Condominium is a 999-year leasehold development with 316 units. To many, 999-year leasehold is as good as freehold. The land which Kensington Park sits on is comparatively the same as The Garden Residences but it has about half the number of units as The Gardens Residences. There may be a chance for a collective sale perhaps? If so there should be even more residential units coming into Serangoon North. 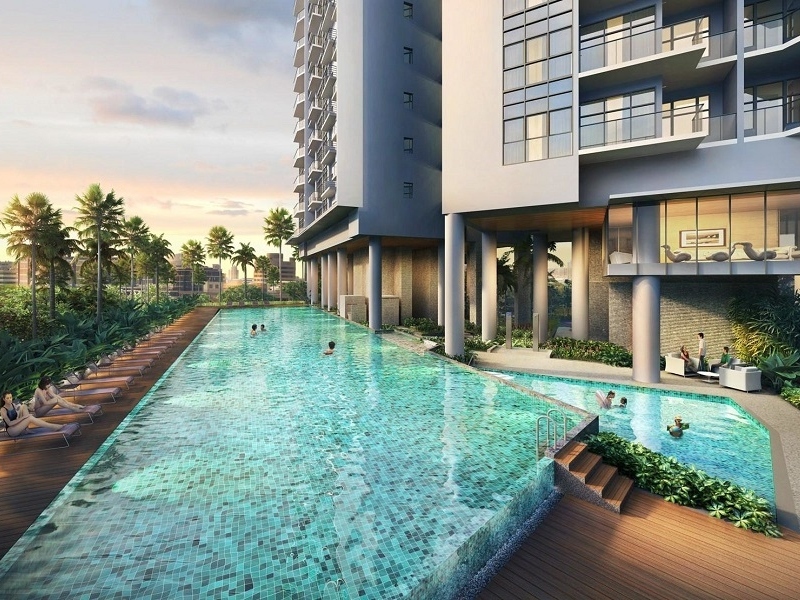 If you were looking to purchase a unit in either Affinity at Serangoon or The Gardens Residences, you should be attracted by the overall peaceful surrounding and the laid-back environment. I would say that you should be purchasing the unit for your own stay and not depending on rental income to help pay your mortgage. That being said, the land for both sites cost both developers a sizable amount of money. 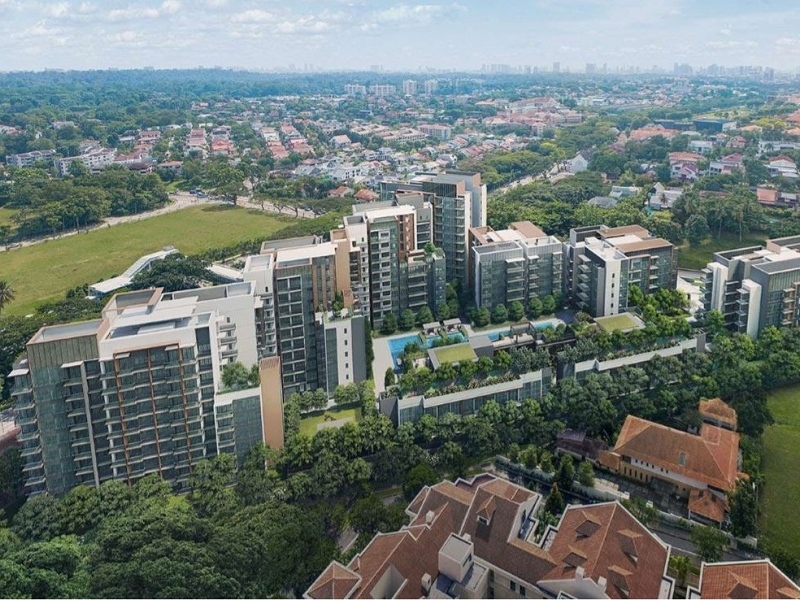 The indicative pricing for Affinity at Serangoon is in excess of $1,500 per square foot and indicative pricing for The Garden Residences is in excess of $1,700 per square foot. This, to me, is unprecedented and extremely high for condominiums in this area. In contrast, units at the 999-year leasehold Kensington Park Condominium were transacted as low as $841 per square foot in August 2017. At prices as high as $1,700 per square foot, I believe that you can find other developments with better value for money. I feel that if you were to make a purchase at $1,700 per square foot, you would have to sell at above $2,000 per square foot to have any chance of making any significant profits. Do remember that you will still have to account for interest paid on your loan and your CPF accrued interest. Many would point to the sell out of Hundred Palms Residences as an indication of the pent-up demand in the area but I would think that that being an executive condominium, the profile of buyers would be different. That being said, I do think that there should be quite some pent-up demand in the area and both project launches should see some healthy take-up rate. If pricing were similar, I would give The Gardens Residences a slight edge over Affinity at Serangoon especially if there is a back gate to the condominium which would mean that residents would be able to access Serangoon Gardens probably through Jalan Chulek or Lichfield Road. 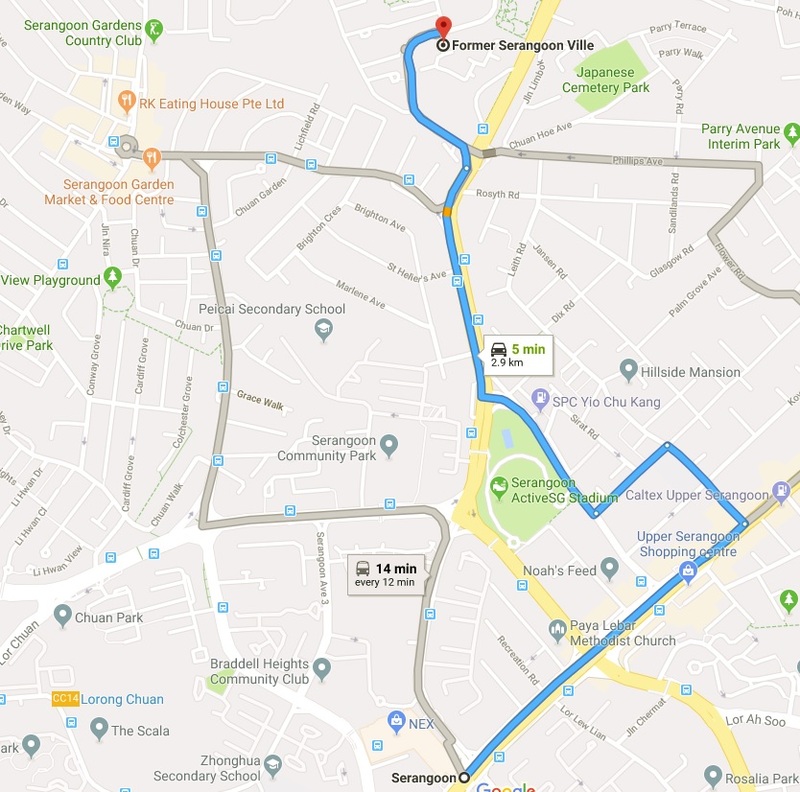 That being said, even with the probable back gate, you still have to take a walk without shelter to Serangoon Garden Circus, MyVillage, Chomp Chomp Food Centre and other amenities. The views at The Gardens Residences are good if you face the landed properties at Serangoon Gardens. Those views are perpetually unblocked and the units that face Serangoon Garden Way should have little to no west sun as those units face south. Affinity at Serangoon does seem like it has a better mix of unit types and the strata landed units in the development do look appealing. It is also closer to the coffee shops and amenities like FairPrice Supermarket which is located at Blk 152B Serangoon North. That cluster of low rise HDB flats is where a large number of amenities are located. There is also a concern the sheer number of units that are coming into the area would cause congestion. The roads along Serangoon North Avenue 1 are all single lane roads. In the past, when the school was operating on the site of The Gardens Residences, there would be congestion just before and after school hours. I have personally experienced this as my relative lives in that area and my family used to run the school bookshop at the old Serangoon Gardens Secondary School. There is also no way to widen the roads to alleviate any possible congestion. The road outside The Gardens Residences is extremely narrow. The road outside Affinity at Serangoon is a lot wider, possibly to accommodate the feeder bus that plies this route. I personally do not find both developments attractive in terms of location and pricing. However, if I were pressed to pick either of the two, I would pick Affinity at Serangoon because it is cheaper than The Gardens Residences, it is nearer to amenities and has a feeder bus running along the road outside of the development. I find it too expensive. 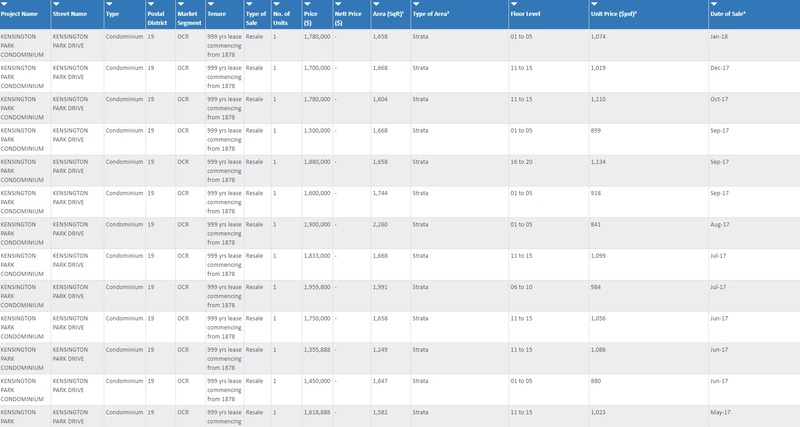 At $1,500 per square foot, it does seem rather expensive considering units at the 999-year Kensington Park Condominium were going for perhaps $1,000 per square foot or less. Serangoon North is not accessible as it is not close to any particular MRT Station. The bus service within Serangoon North is also not extensive. There is only a feeder service running through the estate. Oxley and Lian Beng have grown to be significant players in the real estate development and construction scene. I would expect this development to be handed over to the purchasers without a hitch. That being said, to me Oxley developments feel a little mass market. This is about 10% more expensive than Affinity at Serangoon in terms of per square foot price. To pay in excess of $1,700 per square foot is absurd. Especially when past transactions of the 999-year leasehold Kensington Park Condo were sold for just about half that price. As mentioned, Serangoon North is inaccessible. The road outside of The Garden Residences is very narrow with little to no space for extension. Buyers of the project should expect congestion along that narrow single lane road. Keppel Land is one of the better developers in my opinion. 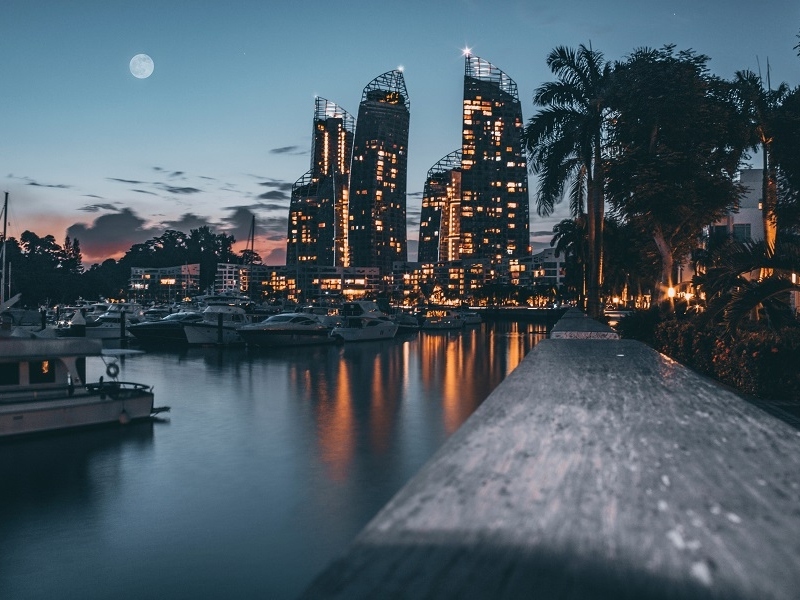 I am impressed by the architecture at some of its past developments like Reflections at Keppel Bay, Corals at Keppel Bay, The Crest and Le Nouvel Ardmore. The development should have a premium feel about it. I cannot meaningfully recommend both projects from an investment perspective. I think it would be difficult to find tenants once the projects are completed. The entry price is also extremely high for that area. I do not think that any meaningful capital gain can be achieved in a reasonable timeframe. That being said, buyers may want to buy into these projects as they like the laid back and serene environment of Serangoon North. p.s. I am a licensed real estate salesperson at the point of writing this review. My real estate agency is the marketing agency for Affinity at Serangoon and as a real estate salesperson, I can bring buyers to both these projects and earn a commision. In fact, I can bring buyers to just about any project and earn a commission. My reason for writing this review is to share my personal view about the developments and hopefully share some insight to help buyers make a more informed buying decision. P.S. You can reference the Affinity at Serangoon floor plans here. P.P.S. You can reference the Garden Residences floor plans here.